Working remotely is something that has had to grow on me since I spent most of my professional career working in an office. Once I started our firm I wanted to create a more flexible model as we are a national organization. It all started with economics. Why pay for a bunch of office spaces when we are at client sites more often than in the office? Then it evolved as I discovered how much more productive our team could be when given more flexible options. We’re not alone. According to Gallup there has been an increase from 39% to 43% of employees working remotely over the past 3 years. The other interesting thing Gallup observed was those employees that worked offsite 3-4 days per week reported a higher engagement in their work. 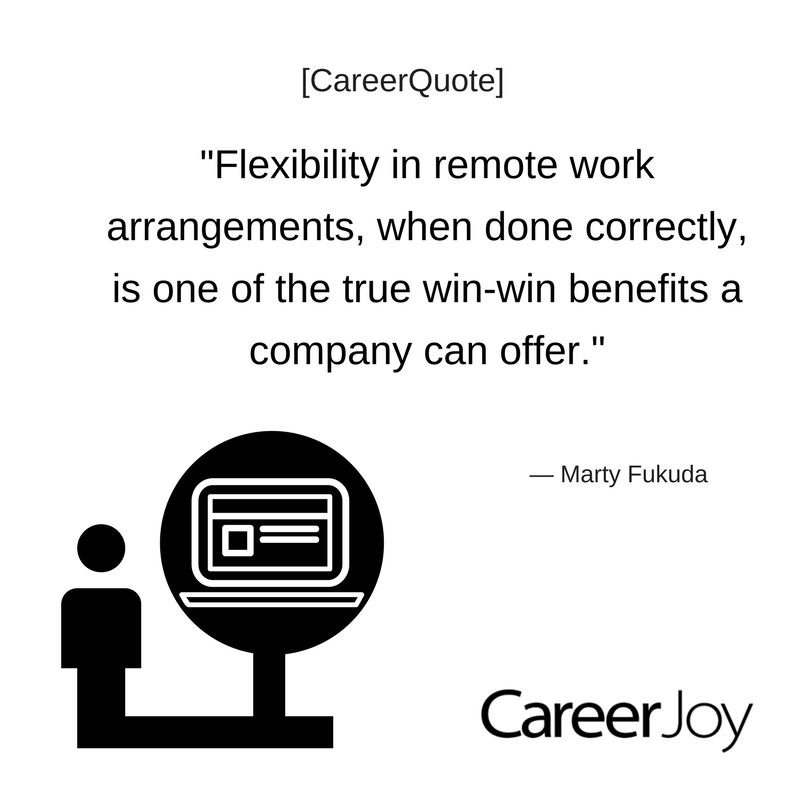 It also is the solution to that frustrating question of work-life balance. Even the reluctant convert such as myself can see this benefit. P.S. Register to join our next free weekly 45 minute CareerClass Webinar on LinkedIn strategy on December 29 at 12:00 m EST. Learn about marketing your skills, using LinkedIn to work with recruiters, target decision makers and more.